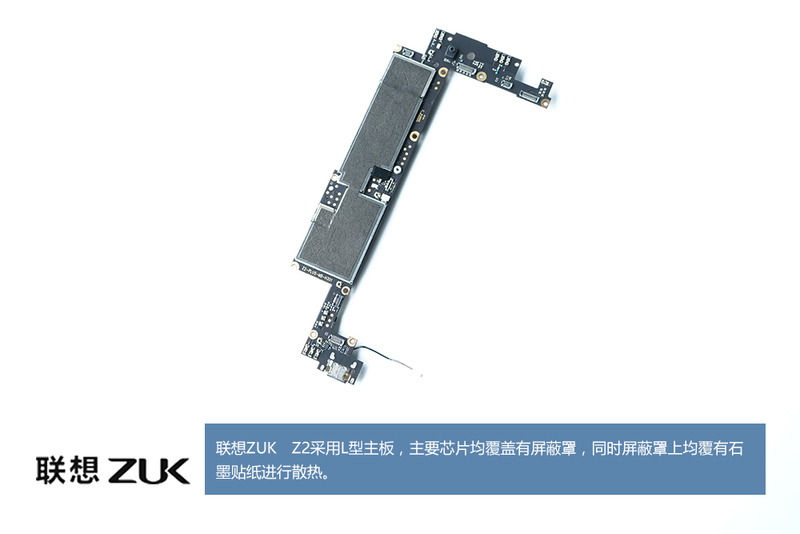 ZUK Z2 smartphone was launched in April 2016. The phone comes with a 5-inch full HD (1920 x 1080) 2.5D curved LTPS display. 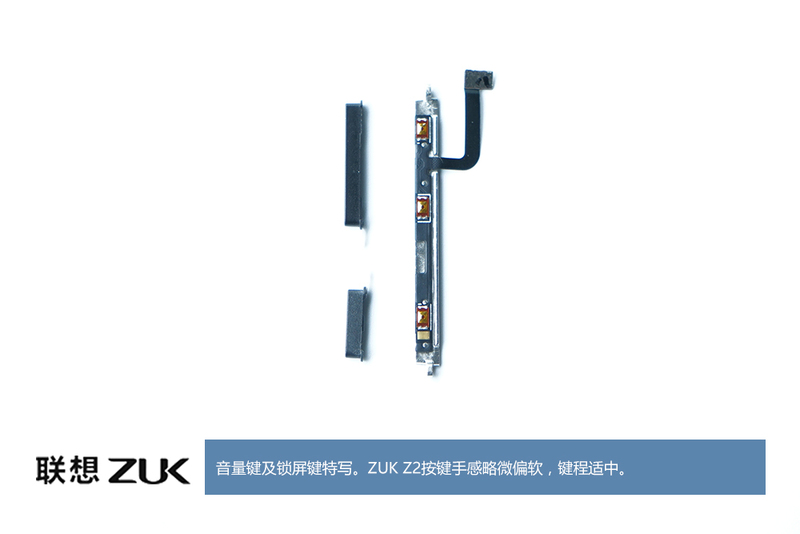 ZUK Z2 is powered by quad-core Qualcomm Snapdragon 820 processor and it comes with 4GB of RAM. The phone packs 64GB of internal storage cannot be expanded. 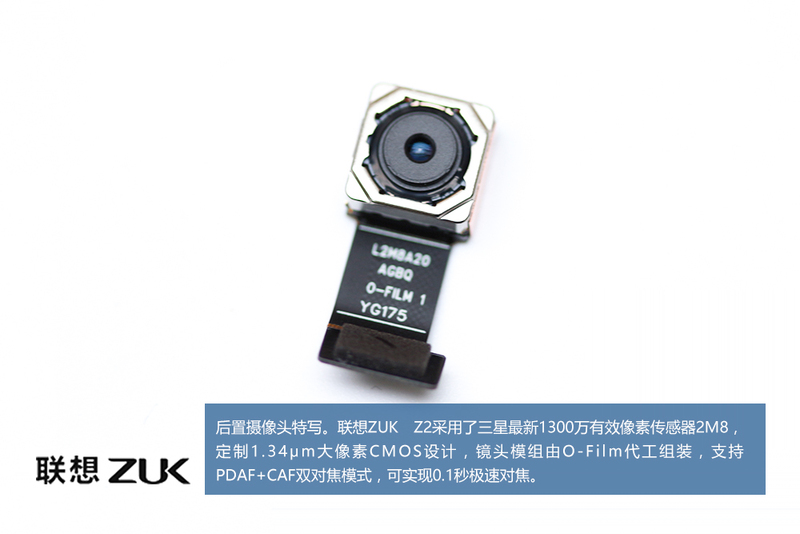 The 13-megapixel ISOCELL camera (f/2.2 aperture, PDAF, CAF dual-mode focus, EIS, 5P lens) is placed on the back of the phone, while you’ll find an 8-megapixel shooter (1.4um pixel size, f/2.0 aperture, 78.9-degree wide-angle lens) up front. The non-removable 3,500mAh battery is also a part of this package, and so is Qualcomm’s Quick Charge 3.0 Tech, which means you’ll be able to charge this phone’s battery rather quickly. 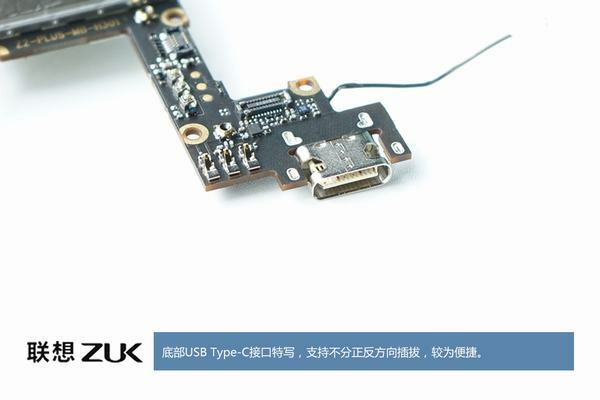 The Type-C USB port is placed on the bottom of the phone, and so is its speaker, and the 3.5mm headphone jack. 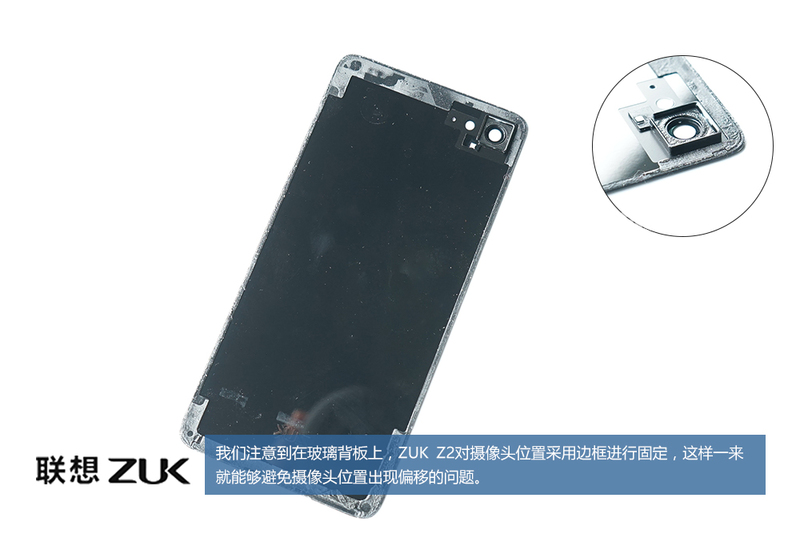 ZUK Z2 comes with a metal frame, and measures 141.65 x 68.88 x 8.45mm, while it weighs 149 grams. First of all, remove the SIM card tray. 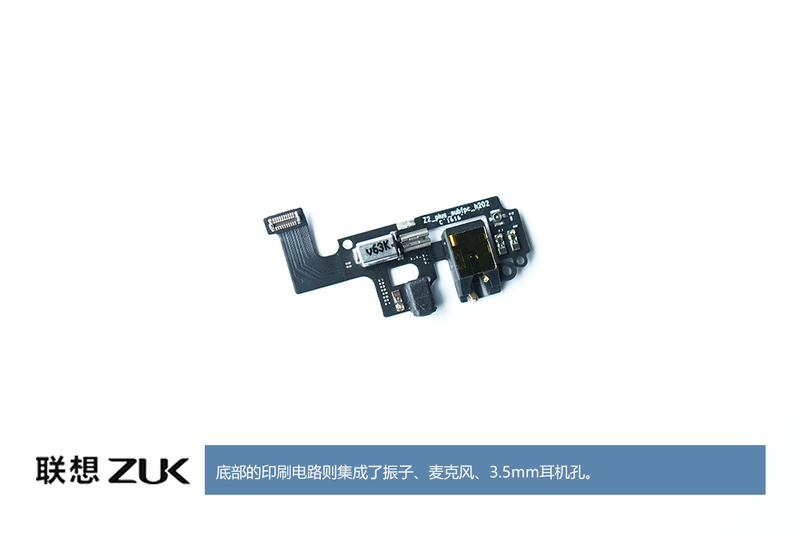 It is supported dual Nano SIM card. Heat up the edges of the back cover with a heat gun about 3-5 minutes. And then open up the back cover with a suction cup. Remove seven screws securing the top middle frame. 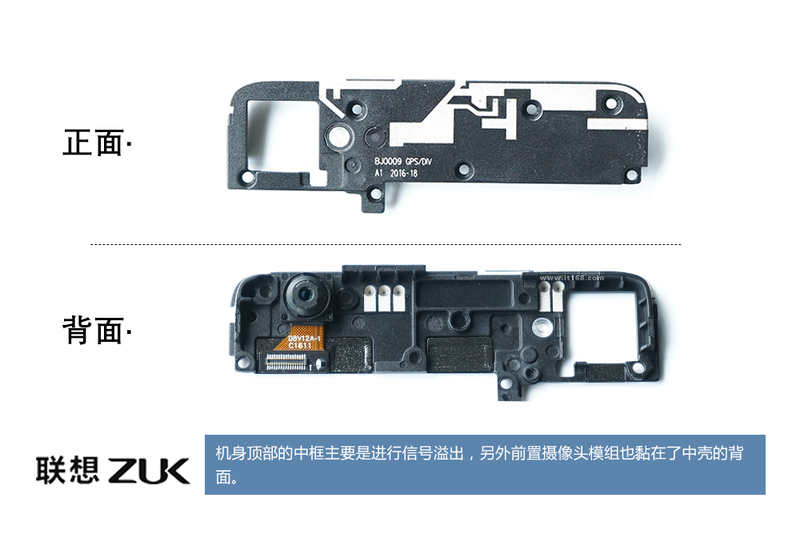 On the back of the top middle frame, we can find the front camera. Remove the speaker module by removing five screws. Remove the screws securing the metal plate and disconnect the battery connector from the motherboard. Pull out two double-sided tapes and you can remove the battery. 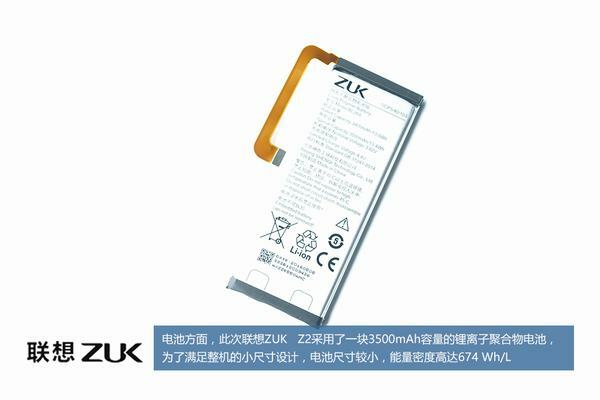 Lenovo ZUK Z2 comes with a 3500mAh Li-polymer battery. 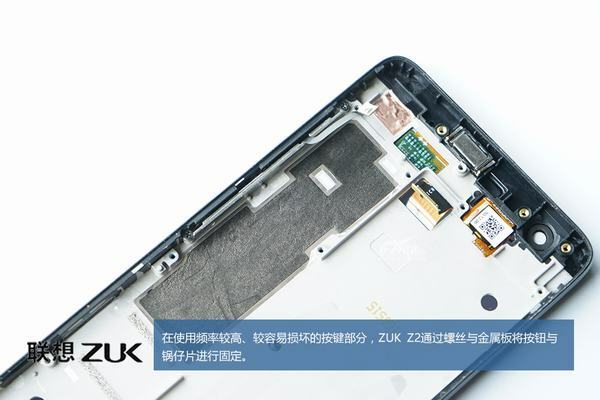 Here’s Lenovo ZUK Z2 chassis. All main chips are covering with a metal shield, and there is a layer of graphite sticker on the metal shield. 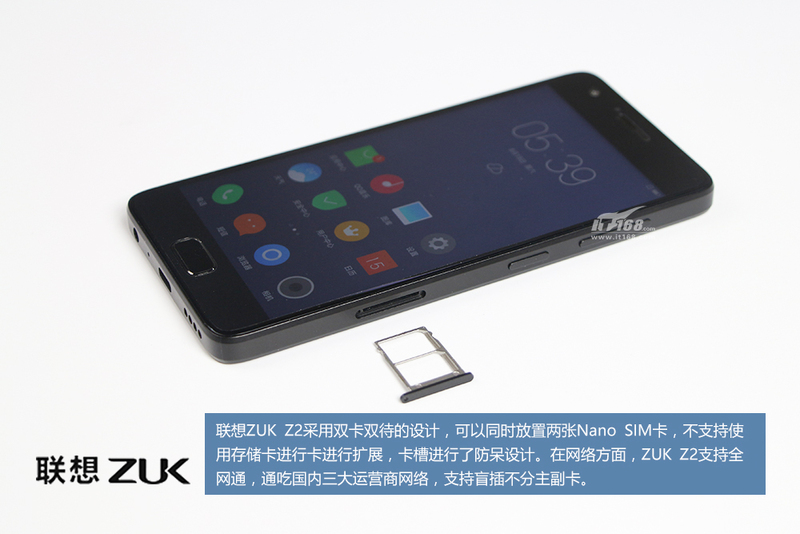 Lenovo ZUK Z2 features a Samsung latest 2M8 13MP camera sensor. It supports PDAF+CAF dual focus mode, can be achieved 0.1 seconds focus speed. 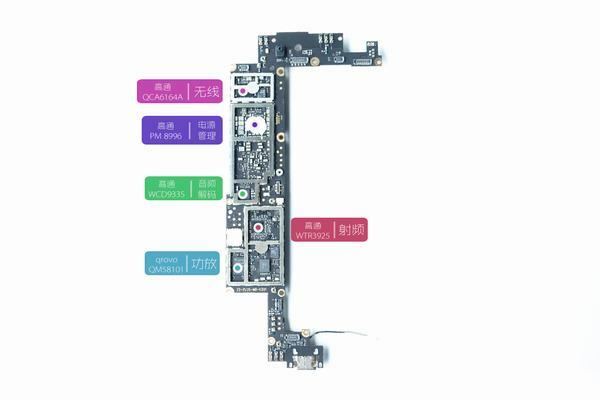 The bottom board is integrated a vibrating motor, a microphone and a 3.5mm earphone jack. Remove two screws securing the side button module. 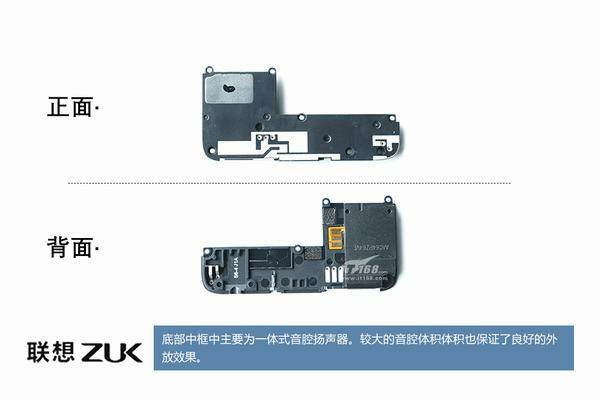 Here’re Lenovo ZUK Z2 volume keys and lock screen button. Thanks for the teardown! I would like to know, to replace the screen, is it necessary to disassemble the Z2 from the back, or can the screen be removed from the front? It would be awesome if you could give some instruction for screen replacement as I can’t find anything on the web. 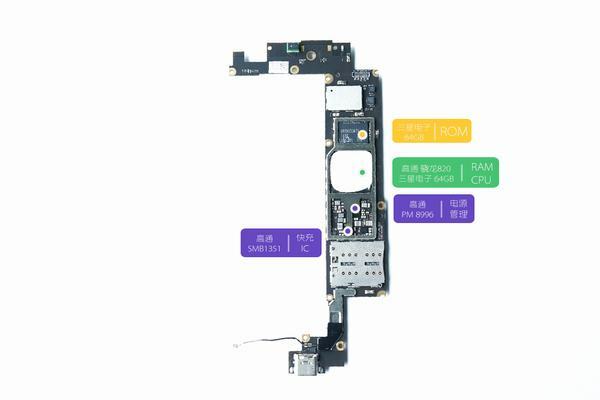 To replace the screen, you need remove most parts from the phone. Do you have a guide which explains how to replace the screen only ? Sorry! the ZUK Z2 has been out of our office for a long time. Well, I took the plunge, bought a replacement screen (in the frame) from AliExpress, and fixed my phone. It seems to work perfectly! I couldn’t have done it without your teardown, so thanks again. The job took me about 2 hours and I’m pretty much new to this sort of work. A couple of notes: first, my speaker module had 8 screws, not 5 as you reported. Maybe a different hardware revision? Second, I’d really recommend that anyone who wants to do this should buy the screen in the frame. It’s US$10 more, but it means you don’t have to muck around with removing the broken glass from the frame etc. The frame came with copper and graphite sheets and adhesive in the right places, so it was really convenient. Could you please share which display you bought? There are many sellers but I really want to have the adhesive etc. included. Well, this is odd. In my previous comment I included the URL where I bought my display, but it’s been removed. I wonder if I broke some site rule by posting it? So without posting any URLs: I got it from a vendor called “Mobile Good Helper”, the listing is called “For Lenovo ZUK Z2 LCD Display Touch Screen Digitizer Assembly With Frame Original Replacement Parts”, it’s US$55, and the manufacturer is called “Eachway” (which looks like “achway” because the ‘E’ is highly stylised and doesn’t look like part of the name). One thing: it would probably be a good idea to contact them before buying, and make very sure that they have the thing in stock. I had to muck around with them a bit because they originally said they’d dispatched it when they didn’t even have it in stock. All up it took about 3 weeks to get it. Thanks, found it! I also scratched the frame on all corners so this one is perfect! The glass is broken but digitizer still functional. Ordered one and I will follow the teardown as soon as I received the display. Good to hear. I didn’t have any real problems, the scariest part was getting the ribbon cable for the fingerprint sensor off. I protected the sensor itself with tin foil and heated the frame from the front, and it ended up coming off pretty easily. front glass its equal to the digitizer? its possible to replace only the front glass? without changing the LCD? or it is glued to the LCD? 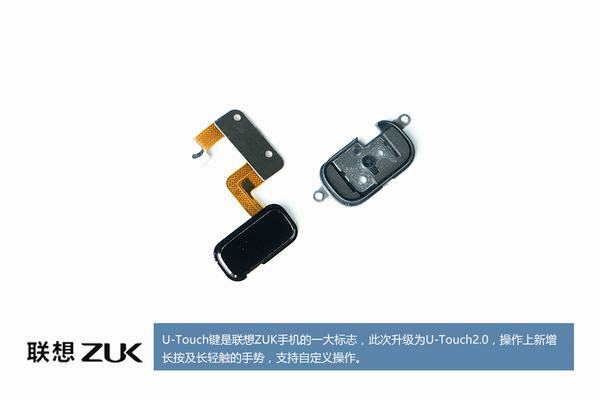 Replace the front glass is very hard, replace the display assembly is ok. I connected a pushing beast 3.0 cable to an aukey quickcharge 3. now my zuk can’t recharge. Any idea on how to fix that? I’d like to ask once again about replacing only touch panel is it possible without loca glue and special UV lamp? The replacement screens at usual shops do not seem to have this item and therefore, I suppose it needs to be transferred. Any ideas? Hi so I dropped my phone and it landed on the front. Now there is no touch response on the middle of the screen. I think the digitizer is broken. I already ordered a new front panel with LCD + digitizer to replace this. Also the GPS stopped working shortly afterwards. Now I don’t get a lock on my GPS anymore. Should I replace the GPS/Wifi board to fix this? or is this a software issue?